Link: Microsoft urges Windows users to shun 'carpet bombing' Safari | The Register. Apple, the company that touts OS security as a competitive advantage over Windows, is refusing to fix the massive security flaw in the Windows version of its flagship browser, Safari. I tried loading and using Safari, and it crashed my system. Since Apple's security pros don't think the carpet bombing flaw is a "significant threat", Microsoft is advising its users to avoid Safari. A conspiratorial mind might opine that Apple WANTS Windows computers to crash and burn. You think? Link: SyncBack (zip), from 2BrightSparks - Free Downloads on ZDNet | Shareware, Trialware, Evaluation Software. So, you don't want to buy a copy of Norton Ghost, or one of the other backup programs I have recommended? How does free sound? I thought so. Syncback does the job less elegantly than Ghost, and, it is not designed to create a complete disk image; but, it does the job of backing up files to another drive, or CD very well. There is no shortage of backup solutions out there, and this one is free. So, as the TV sales guys say: The only thing holding you back is your own brain. Use it, and backup. Link: Exclusive: Dell Mini Inspiron, Their First Mini Laptop. Dell is entering the mini computer sweepstakes, which bets that a lot of people will salivate over a small machine that does web, email, and basic computing in a tiny package. I love my ASUS Eee, as it is easy to carry everywhere. I don't like typing on a cramped keyboard, though. These machines aren't for document processing. I find myself typing with my index fingers, and it is slow going. However, this little Dell looks cute, doesn't it? Link: Backup: Beware of Using Web Host Disk Space for File Backup. Since I periodically post about one of the most important things a computing lawyer can do to protect his or her data: BACKUP, I am also combining the obligatory BACKUP post with a caution about web hosting backup data. For the same reasons you need to be careful with web hosting critical office applications, it can be dangerous to trust your backups to a web host. Data can be lost, erased, or otherwise rendered useless. 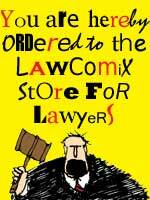 You are lawyers, people. Read the contract. Backup Hard drives, CD and DVD media is so cheap, and backup software like Norton Ghost is so easy to use, there is no reason not to back up. I set Norton Ghost to image my drive, and then go watch the surprising Rays win another game. Takes about 2 hours for a 100 Gigabyte drive. Keep 3 to 5 rolling backups for further security. Of course, any storage device can fail; I just like having mine in my hot little hand. 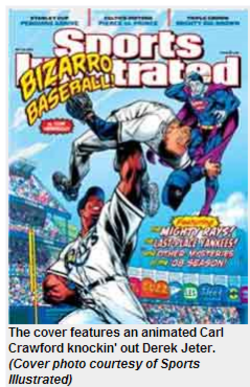 Now, go watch a baseball game. Link: How to Protect a Stolen Mobile Phone - wikiHow. As cell phones and smart phones have become a more important part of the mobile lawyer's life, security for the small appliances has also become important. These tiny productivity tools contain confidential, important information that can be used by the bad guys, if they get their hands on it. 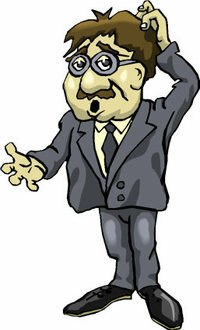 This post gives some simple solutions to the security problems inherent in carrying your lawyerly life around with you. My favorite is to use the password security built in to the operating system. If you have a strong password required just to turn the phone on, many thieves will just wipe the phones before they sell them on the open market. If you make regular backups to your computer (Palm OS does this automatically when you sync), you will be able to be up and running with a new phone right away. Pull the battery, and record your IME number. 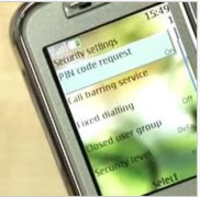 This will allow your cell provider to turn off access to the phone after a theft. Think secure, be secure. Link: Paul Thurrott's SuperSite for Windows: Paul Thurrott's SuperSite for Windows: Windows XP Service Pack 3 FAQ. 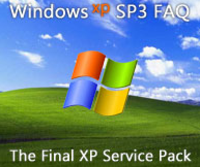 This page is a complete FAQ for the new SP3 for Windows XP. Since XPSP3 is a compilation of the hundreds of updates to XP since SP2, and is likely the final update to our favorite OS, it may become an important release. 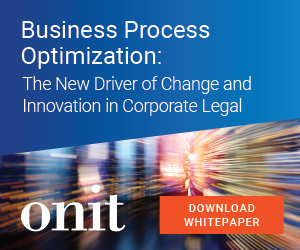 Since a lot of lawyers are bypassing Windows Vista, and staying with machines in the office that run XP, you need to be aware of what is, and isn't, in this release. If you have been running Windows Update on a regular basis, you likely don't need it. However, there are a few additions to the code that come with Windows Vista. Install with care. There are some rumors out there that Windows 7 will not be backwards compatible with previous Windows programs in many cases. I find that hard to believe; but, with Microsoft, who knows? So, you may be living with XP for a while. Get it up to date. Link: Memorial Day. No humor today. Today should be a more serious reflection on the sacrifice of men and women who fight wars. Whether you support the mission or not; these young people are making sacrifices so that we can enjoy our picnics and parties. It is frustrating not to be able to do more than shake their hand, or say welcome home, or stand for a minute at a baseball game. I know, how about passing some decent veteran's bill legislation that will give the survivors a better shot at success when they get home? What a concept. Link: Sugar Labs already in talks with four laptop makers - Engadget. SugarLabs, which created the interface and OS for the OLPC laptops, before they defected to XP, is now shopping the OS to other low cost PC makers. As I have said before, I found the OS pretty lame, even though it was designed for children. It is icon and graphic driven; but, there are few hints about use. It is locked down tight; because it was designed for children, the makers didn't want unauthorized use. Hopefully, a commercial version will be more customizable. Why it is called kid-friendly, I don't understand. Link: Lifehacker Top 10: Top 10 Firefox 3 Features. I have been using the release candidate of Firefox 3 for over a week now, and it is really special. It is much faster than Firefox 2, and much, much faster than Internet Explorer 7. It has much stronger anti-phishing and anti-malware controls, and, so far, is very stable. This is a perfect example of what the collaboration of the open source, software should be free, community can accomplish. If you are still using Internet Explorer, there is nothing more I can say to you. You have nothing to lose trying Firefox. You have everything to gain. Just do it.